Hedy Epstein, known and loved by the Palestinian people and their friends and supporters for her courageous work for solidarity and justice, has died aged 91. 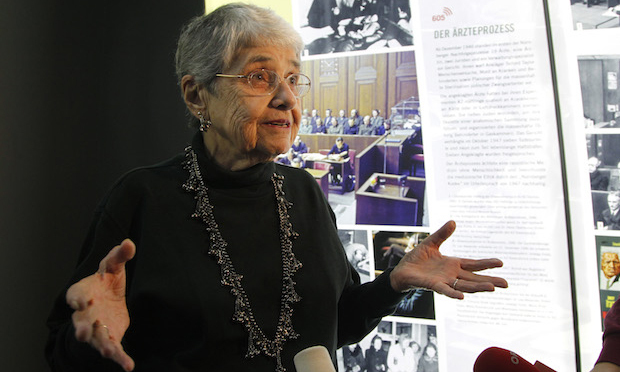 Hedy answers questions about her role as a research analyst for the US prosecution team during the Nuremberg medical trials as the dock is put on public display, November 2010. Hedy stood up for the underdog, opposed abuse of power, and worked valiantly and consistently for a kinder, more just world. In so doing, she inspired multitudes. She was brave, funny, intelligent, and committed. For her, ‘never again’ meant Never Again. Holocaust survivor Hedy Epstein, 91, died at her home in St Louis, Missouri, USA, on 26 May 2016. An internationally renowned, respected and admired advocate for human and civil rights, Hedy was encircled by friends who lovingly cared for her at home. Born 15 August 1924 in the Bavarian region of Germany, her lifelong commitment to human rights was formed by the horrific experiences she and her family endured under the repressive Nazi regime. Unable to secure travel documents for themselves, Hedy’s parents, Hugo and Ella (Eichel) Wachenheimer, arranged for 14-year-old Hedy to leave Germany on a kindertransport. Hedy credited her parents with giving her life a second time when they sent her to England to live with kind-hearted strangers. Hedy’s parents, grandparents, and most of her aunts, uncles and cousins did not survive the Holocaust. Hedy remained in England until 1945, when she returned to Germany to work for the United States civil service. She joined the Nuremberg doctors’ trial prosecution in 1946 as a research analyst. Hedy emigrated to the United States in 1948. She and her husband moved to St Louis in the early 1960s, and shortly thereafter Hedy began working as a volunteer with the Freedom of Residence, Greater St Louis Committee, a nonprofit organisation dedicated to housing integration and advocacy for fair housing laws. Hedy worked for many years as a volunteer and board member, and ultimately served as the organisation’s executive director during the mid-1970s. During the 1980s, Hedy worked as a paralegal for Chackes and Hoare, a law firm that represented individuals in employment discrimination cases. As an advocate for equality and human rights, Hedy spoke out against the war in Vietnam, the bombing of Cambodia, and overly restrictive US immigration policies. She spoke and acted in support of the Haitian boat people and women’s reproductive rights, and, following the 1982 massacre at Sabra and Shatila, Hedy began her courageous and visionary work for peace and justice in Israel and Palestine. During her later years, Hedy continued to advocate for a more peaceful world, and in 2002 was a founding member of the St Louis Instead of War Coalition. Much of her later activism centred on efforts to end the Israeli occupation of Palestine. She founded the St Louis chapter of Women in Black and co-founded the St Louis Palestine Solidarity Committee and the St Louis chapter of Jewish Voice for Peace. 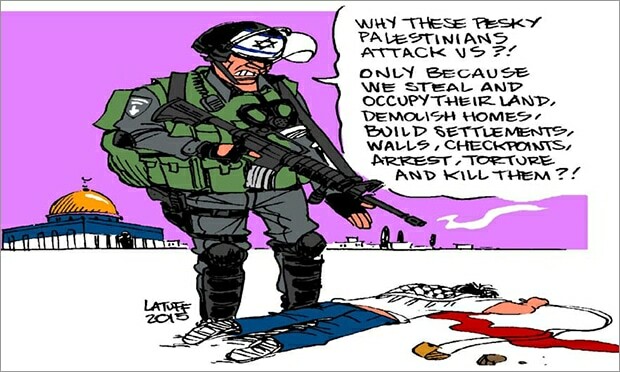 She travelled to the West Bank several times, first as a volunteer with the nonviolent International Solidarity Movement (ISM) and repeatedly as a witness to advocate for Palestinian human rights. She attempted several times to go to Gaza as a passenger with the Freedom Flotilla, including as a passenger on the Audacity of Hope, and once with the Gaza Freedom March. Hedy addressed numerous groups and organisations throughout Europe and returned to Germany and her native village of Kippenheim many times. Three days after her 90th birthday, Hedy was arrested for ‘failure to disperse’. She was attempting to enter Missouri governor Jay Nixon’s St Louis office to ask for de-escalation of police and national guard tactics which had turned violent in response to protests following the killing of unarmed teenager Michael Brown in Ferguson, Missouri. Hedy was a member of the St Louis Holocaust Museum and Learning Centre’s speakers’ bureau and gave countless talks at schools and community events. She shared her holocaust experiences with thousands of Missouri youth as a featured speaker at the Missouri Scholars Academy for more than 20 years. She ended every talk with three requests: remember the past, don’t hate, and don’t be a bystander. Through the years, Hedy received numerous awards and honours for her compassionate service and relentless pursuit of justice. Hedy is survived by son Howard (Terry) Epstein, and granddaughters Courtney and Kelly. She was beloved and will be truly missed by countless friends in St Louis and around the world. Hedy always did her best, and the difference she made is evident in the commitment and passion of those called to continue her work. Her friends and admirers honour and salute her deep and lifelong dedication to tikkun olam, the just reordering of the world and promise to remember, to stay human, and never to be bystanders. 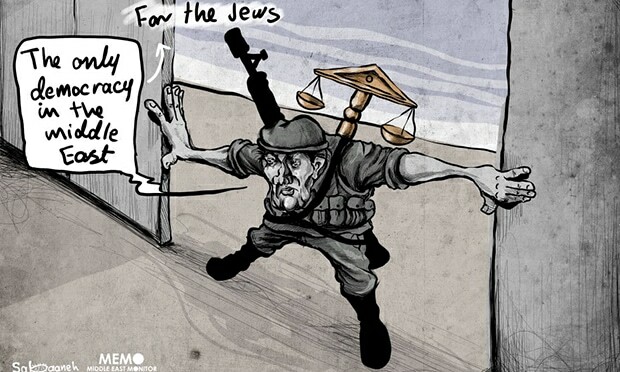 It is not the anti-zionists who are guilty of antisemitism, but the zionists themselves. 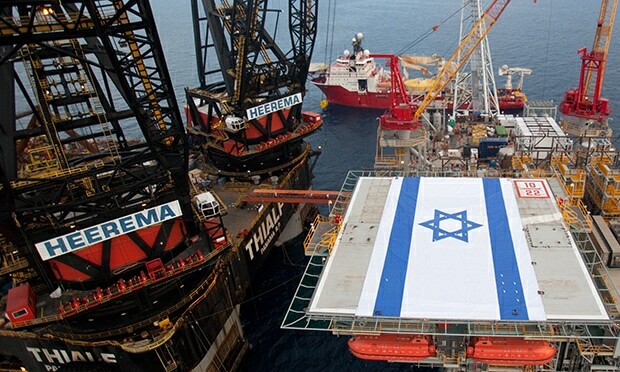 Accusations meant to silence opposition to Israel’s fascistic nature must be resisted. Trump's much touted 'new deal' for Palestine is no deal at all, and only brings closer the day when Israeli zionism will collapse completely. But still thinks people will believe it to be a democracy! 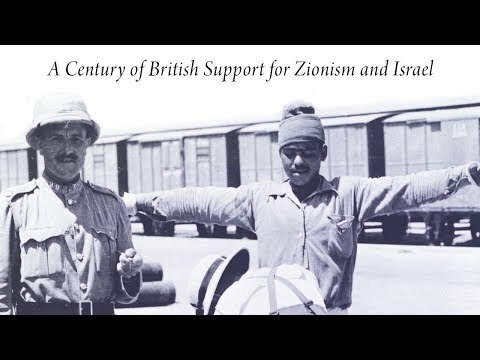 Marking the 100th anniversary of the infamous Balfour Declaration, Comrade Harpal Brar outlines the true history of the origins of zionism.